A handsome, tall, yellow-flowered species of the upper sea shore. Common all around the coast. 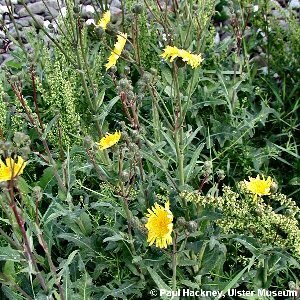 All names: Sonchus arvensis L.